'Abdu'l-Bahá's Journey in the West . . .: May 23, 1913 Deflecting His own birthday . . .
May 23, 1913 Deflecting His own birthday . . . The next day was the celebration of the Declaration of the Báb. Many people arrived, however, with flowers to celebrate the Master’s birthday. He told them that it was inappropriate to celebrate His birthday on a day of much greater import – the Declaration by the Báb of His Mission to Mullá Husayn. Even though the following occurred on the evening of May 23, since we now customarily celebrate the Declaration of the Báb on the night of the 22nd, I will post this reflection today. [After His talk at Clark University] "He returned to Boston in the automobile especially provided for Him by the chancellor. The Master went directly to the home of Mrs Alice Breed. As that evening was the commemoration of the Declaration of the Báb as well as the birthday of `Abdu'l-Bahá, the Bahá'ís, with the utmost happiness and joy, had arranged a magnificent feast. When `Abdu'l-Bahá arrived, He rested for awhile and then joined the gathering of the friends, illuminating the meeting with His presence. With joyful and shining faces, all eyes were directed towards the Master. The freshness and verdure of that gathering was like a flower garden and was proof that the Tree of the Cause of God has been firmly rooted in American soil and that it has produced leaves and blossoms of the utmost beauty. The Master spoke briefly about the greenery of the surrounding countryside, the magnificence of the city of Boston, as well as the university. He then gave an account of the life of the Báb that gladdened the hearts and cheered the souls. Tea, drinks and sweets were served in another room. Mrs Breed brought before the Master a birthday cake with 68 candles, representing His age. At her request, He lit the first candle and then each of the friends in turn lit a candle, each person like a moth burning with the fire of love. When the cake was cut, each guest took a slice as a sacred relic. Mrs Breed, indeed, lit the candle of servitude and steadfastness that evening and, in doing so, became the recipient of bounty from `Abdu'l-Bahá's presence." The BOSTON HERALD noted: "It was the wish of ‘Abdu’l-Bahá to have a flag of every country on the cake, as he is universal, and considers every country his own, but there was not room for all." ah, the Mystery of God! To be born on the very day and time of the Declaration of the Báb has a significance we cannot grasp. Then, for us to have a yearning to celebrate `Abdu’l-Bahá's birthday (can you imagine being in His midst on this day?) but to be discouraged by His own objections . . . It seems this story has a lesson for us. 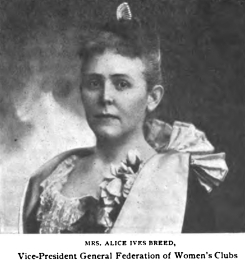 Can you imagine the excitement of Alice Breed as she prepares for the feast, the cake, the flags, the candles. . . . And then for the Guest of honor to feel disquieted (we can assume) about the attention and the focus upon His birthday--and then to excuse Himself. It makes me wonder if Alice wrote her memoirs and mentioned this incident. Or what `Abdu’l-Bahá might have told Mahmud or others afterwards. Of course we now have the Day of the Covenant to celebrate His life (in November, near the Ascension of `Abdu’l-Bahá) but again, the focus is not on His birthday but on his role within the Cause--as Center of the Covenant. While we are eager to celebrate Him, He downplays His person, with humility. Isn't it curious that out of 11 Baha'i holy days, only 9 are days on which Baha'is should suspend work? The other two--those related to `Abdu’l-Bahá--are not in that same category. In 1912 many, no doubt, wanted to laud `Abdu’l-Bahá as a prophet figure, but He was always reminding His hearers of His servitude. Thus, He would want us to remember the Bab's life and station on this evening and tomorrow, even when we were / are caught up in `Abdu’l-Bahá's presence. Like Alice, I would have probably been one of those to commit a faux pas and gone overboard with a desire to celebrate Him--only to realize later the significance of His instructions. . . . Would you?